Many of my clients issues are related to anxiety and I now believe I have the most effective blend of treatments possible. Imagine all the best therapies used today were condensed into one amazing therapy that was fast and effective and you could easily learn and take home with you? Well… introducing Psy-TaP. 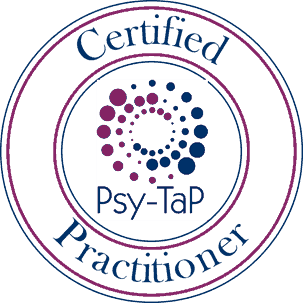 Psy-TaP is a cutting edge therapy which draws on many Psychosensory based energy psychologies such as TFT (Thought Field Therapy), EMDR (Eye Movement Desensitising & Reprocessing Therapy), Havening (Amygdala Depotentiation Techniques), IEMT (Integrated Eye Movement Therapy), EFT (Emotional Freedom Technique), VCRT (Visual Coding & Repatterning Techniques), NLP (Neuro-Linguistic Programming), Hypnosis, Psychotherapy, Psychosensory SATT (self-applied touch technique) and Advanced Meridian Intervention Techniques. An understanding of human systems such as neuroscience, neurobiology and biomechanics underpin its effectiveness. It is quick and highly effective. There is more to it than tapping, because it is tailored to the individual and all the while I am calibrating your state to ensure success. There are other jaw-dropping techniques involved too. I’m a great believer in simplicity. Why waste precious minutes, hours and days on the less fun things in life? Your time is so very precious. Psy-TaP is a solution focused approach which is good news because when you want something sorted, you want a solution. You might not want to delve into the issue or go back week after week to talk it over again and again. Sometimes this can mean going home each week feeling no different or worse. Psy-TaP is the smart cookie of the therapy world that’s for sure. Simple to use and easy to prove. What I love about it is that it fits with the other therapies I offer so well. Because Psy-TaP understands how your brain and nervous system process information, it is able to use your own energy to interrupt the pattern you have created for the problem and get rid of it. Psy-TaP focuses on the feelings rather than the memory of negative events and changes them. This is like a domino effect as everything attached to that feeling also disappears. Gone.